HarperCollins is in the midst of a total rebranding effort when it comes to selling books. In July they relaunched their United States website and started to market eBooks directly to customers. This has been a deemed a success by the top executives and they have now expanded into the UK. The New HarperCollins UK site has been relaunched with the express purpose of selling eBooks directly. The publisher prompts users to download and install their HC Reader app, which is used to read any purchases on iOS and Android. HC derives 24% of their revenue from eBooks, so there is still a viable market for print. You can order tangible books from the UK website, but instead of buying them from HC directly you are redirected to Amazon, Waterstones and W H Smith. The publisher hopes to make physical books available directly through the site in December. One of the most compelling aspect of the HC UK website is author profiles. You can read their biography, check out their social media profiles, get put on a mailing list for book tours and events or look at their upcoming titles. via HarperCollins UK Launches New eBookStore. 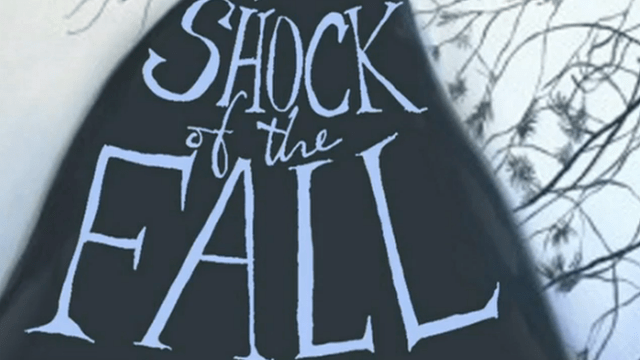 via HarperCollins Signs New Katherine Applegate Series. HarperCollins Children’s Books present an exciting opportunity for artistic students to create an original piece of work and to take a glimpse into the remarkable world of Rachel Bright. 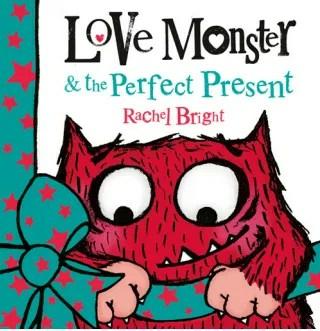 HarperCollins are offering the chance for creative arts undergraduates and graduates to create an original trailer that will capture the readers’ imagination and promote the release of Rachel Bright’s new book, Love Monster & the Perfect Present. Due for release in September this book will be a fantastic Christmas gift for both children and fans of The Bright Side range. Following the success of Love Monster by award-winning wordsmith and illustrator Rachel Bright, love is in the air again in this heartwarming, remember-the-importantthings-in-life story about how presents don’t have to cost the earth to mean the world! As the 2013 World Book Day illustrator and the creator of the successful card and gift range, The Bright Side (selling over five million cards across the UK, America and Australia), it is no surprise that Rachel was also recently selected for the Top 100 Courvoisier/ Observer ‘Rising stars to watch’ and is soon to be featured in a book about creative entrepreneurs as a result. this year’s Bath Festival of Children’s Literature – don’t miss it! HarperCollins, one of the world’s largest publishing companies, has been remaking its marketing efforts, starting with hiring a new chief marketing officer who comes from outside of book publishing, Angela Tribelli. As expected, Tribelli has started bringing on other professionals to help execute her vision. Enter Jim Hanas, HarperCollins’ new director of audience development as of Feb. 2013. In other media companies, audience development departments help build lasting relationships with customers through email and data acquisition, social media engagement and more. Before his current role, Hanas had never held a position at a publishing house, but, in a way, he’s the ultimate insider when it comes to digital publishing. Hanas comes to HarperCollins from the New York Observer, where he was the social media editor. There, he helped grow the social media audience of the New York media property while changing the culture of the newsroom. Prior to that, he held positions at New York-based start-up Sonnet Media, NYC & Company (where he worked with Tribelli), Print Magazine (sister publication to DBW), Radar Magazine and other media properties. He has a bachelor’s of philosophy and psychology from Miami University in Oxford, Ohio and a master’s of philosophy from the University of Memphis. In addition to his online media experience, Hanas has been publishing ebooks before most people in publishing knew what they were. He self-published his first ebook, Single, in 2006, a collection of two of his previously published stories – a radical experiment at the time. That release and other such experiments led him to an ebook publishing deal in 2010 with Toronto-based ECW Press for his story collection Why They Cried. We spoke with Hanas about moving from online media to books, how he plans to help HarperCollins find an audience for each of its titles and how Digital Book World helped him get a leg up in digital publishing. via HarperCollins Audience Development Director Jim Hanas: Finding an Audience, Book-by-Book | Digital Book World.